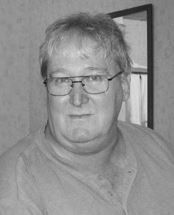 BUTTE — Roy E. Jordan passed away unexpectedly on Wednesday, Feb. 15, 2017, in Butte. Roy was born to Claucine and Vondella Jordan on March 11, 1949, in Worland, Wyoming and was the oldest of five children. He moved with his family to Billings in 1961. Roy graduated from Billings West High in 1967 and later attended Eastern Montana College. He served in the U.S. Army from May 1968 to April 1971. He earned several medals including the Bronze Star. He was proud of his service in his Infantry Division and the fact that he was finally recognized for being a Vietnam vet. He displayed this recognition on a wall in his home. Roy's career of over 30 years working for Town Pump began as a store manager and took him all over the state of Montana. He eventually transferred to the corporate office in Butte as an accountant, from where he retired. Roy was preceded in death by his parents and his wife of 32 years, Jeannine. He is survived by siblings Annette (Vern), Lynn (Rae Lynn), Marlene, Mark (Debra); two nieces; six nephews; one great-nephew; and his very close friend, Eileen Walker, and her family. Roy's wishes of a private interment in Billings will occur at a later date. In lieu of flowers, please donate in his memory to the Wounded Warrior Project.